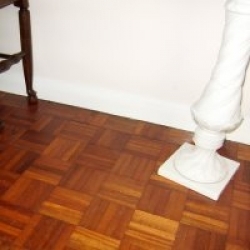 Solid hardwood floors from the traditional unfinished strip and plank, parquet blocks and mosaic panels that all require sanding and finishing on site after installation, to the pre-finished planks available in a variety of finishes and the solid strand woven bamboo floors. Solid Rustic Oak Five Fin.. Solid Character Oak - Sat.. Solid Natural Oak Five Fi.. Solid Prime Oak Five Fing.. 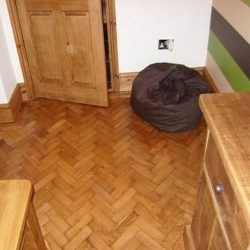 Solid Cottage Oak Plank -.. Solid Rustic Oak Plank - ..
Strand Woven Bamboo - Cof..
Strand Woven Bamboo - Nat..
Strand Woven Bamboo - Sad..
Strand Woven Bamboo - Whi.. Solid Antique Naval Oak F.. Solid Rustic Oak - Greywa.. Solid Rustic Oak - Whitew..
York Solid Rustic Oak Pla.. Solid Antique Oak Wheat -..
American White Oak Prime ..